Your symptoms won’t tell you where to go, but it’s good to know you have health care options. If you or someone in your care is injured or unwell and you’re not sure if it’s an emergency always speak to a qualified health professional as soon as possible. Many Western Australians visit emergency departments for non-emergency related issues however, emergency departments are not the best place to be treated or recuperate. Do you know what health care options are available? Find out how to take care of yourself at home. Pharmacies can also offer services such as dispensing prescription medicines and emergency contraception. Find out how your local pharmacist or chemist can help. If you are unsure what to do call healthdirect Australia on 1800 022 222 for 24-hour free health advice. 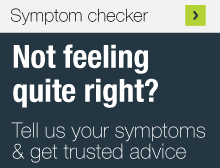 Your GP can also refer you to another doctor or health care professional for more specialised care if necessary. Find out more about seeing a GP or view the list of after hours GP services. Emergency departments provide 24 hour emergency services for people who have had a serious accident or suddenly become ill and require urgent medical care. Find out where the closest hospital emergency department and other emergency services are located.